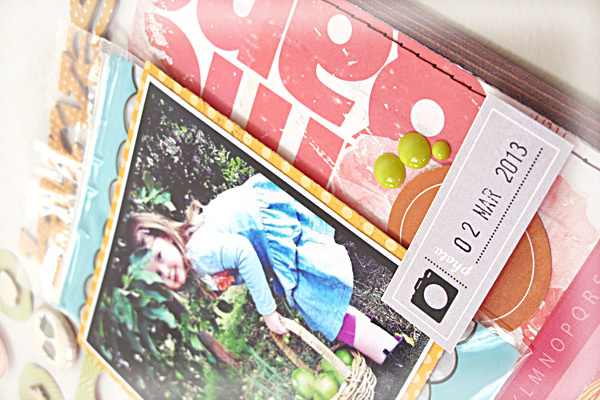 It's Natalie here, sharing with you one of my new favourite layouts. Having an orchard back on my parent's farm has many benefits. There's always something to pick and a new crop to harvest. Autumn this year has seen us with an abundance of pistachios and green apples. Apple crumble is a firm favourite - especially with a crunchy roast pistachio crust. Yumm! 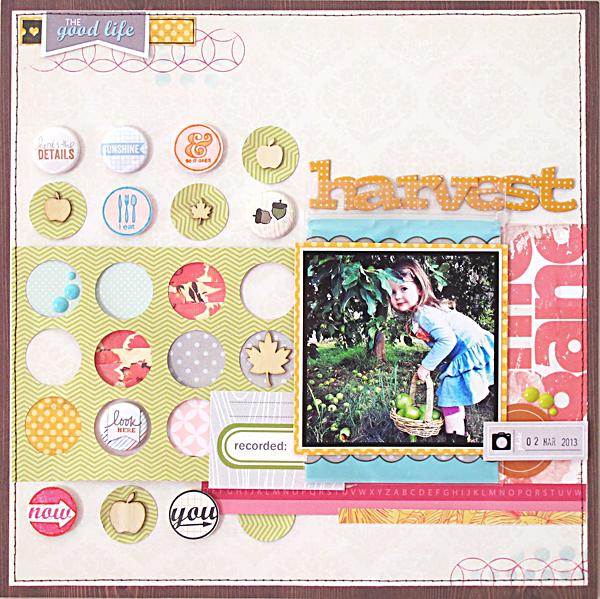 I took my inspiration for this layout first from the apples themselves as I punched out rows of circles from green paper. Then in one of those rare strokes of genius I realised I could fill them with bunches of round Evalicious products. Firstly came the Badge Buttons. That one was kind of obvious. 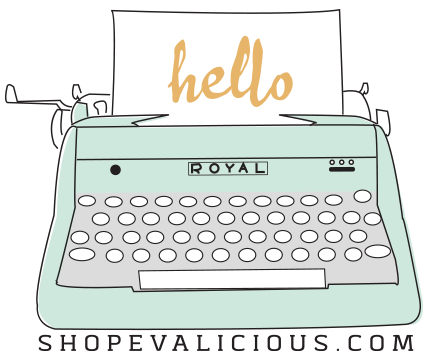 Then I thought of all the different 1" circle stamps Evalicious has produced. These were just the perfect fit. I stamped them seperately before punching them out and mounting them on foam tape to give some dimension. And one last hint... just when you think you want to use some fabulous Evalicious typography but it comes in the wrong size.... customise it! 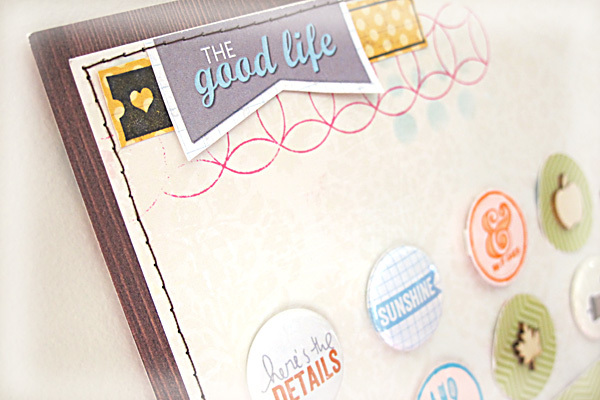 The banner reading "The Good Life" was going to be the perfect match for my layout but the problem was it was printed on the top of a 3x4" Tag which wouldn't fit in the cluster I envisioned. So I simply cut it out! LOVE this layout, Natalie! The circles are awesome, so many fun elements! Totally adding this to my "lift" pile. Amazing!